Long Beach Pavilion is a 5-minute drive from the center of the city of Chonburi. It features an outdoor pool, spa, 5 dining options and rooms with flat-screen cable TV. Each modern room comes with a private balcony, minibar and safe. A tea/coffee maker, DVD player and hair dryer are included. First-floor rooms offer direct pool access. Guests can relax at a jacuzzi or work out at the resort’s fitness center. Beach volleyball facilities are also available. Seafood and Thai-European cuisines are served at The Oceana Terrace. Breakfast featuring Thai, European and Chinese dishes is offered at the 24-hour Long Beach Coffee Shop. 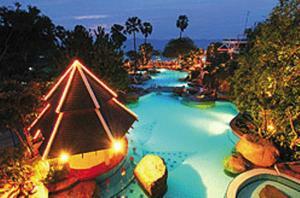 Long Beach Pavilion is approximately a 2-hour drive from Don Muang International Airport. Wi-Fi is available in public areas and costs THB 500 per 24 hours. Free! All children under 12 years stay free of charge when using existing beds. Free! All children under 2 years stay free of charge for baby beds. All older children or adults are charged THB 1000 per person per night for extra beds. The maximum number of extra beds/baby beds in a room is 1. 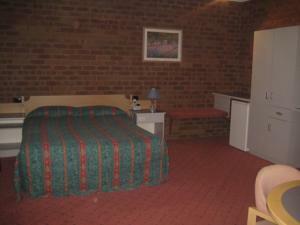 Any type of extra bed or crib is upon request and needs to be confirmed by management. Additional fees are not calculated automatically in the total cost and will have to be paid for separately during your stay.